JPMorgan Chase has pumped millions of dollars into supporting entrepreneurs of color in Detroit, New York City and San Francisco. Now it's taking its Entrepreneurs of Color Fund to Chicago. The bank announced Thursday that it would invest $4 million to provide minority entrepreneurs in Chicago's South Side and West Side with the money and resources necessary to get their businesses off the ground. "South and West Side neighborhoods hold tremendous economic opportunity, but we can do more to ensure that everyone has a chance to participate in Chicago's continued growth," CEO Jamie Dimon said in a statement. JPMorgan will put $3 million into the Entrepreneurs of Color Fund in Chicago, while $1 million will fund mentoring programs for minority entrepreneurs at the University of Chicago and Northwestern University. Ohio-based Fifth Third Bank also plans to contribute $2.5 million to the Chicago fund, JPMorgan said. The banks grant the money to local partners, who then extend loans to small business owners. In Chicago, JPMorgan will partner with Accion Chicago and Local Initiatives Support Corporation. In recent years, JPMorgan has focused a good chunk of its giving on economic development in underserved communities. The bank created its first Entrepreneurs of Color Fund in Detroit along with the W.K. Kellogg Foundation and the Detroit Development Fund in 2015, part of its $150 million investment in the city. The Detroit fund has since tripled in size to $18 million, and has lent or approved more than $5 million to 52 small businesses. In February, JPMorgan announced that it would invest $3.1 million in a similar fund in San Francisco, and $2 million in a similar fund in New York City's South Bronx. 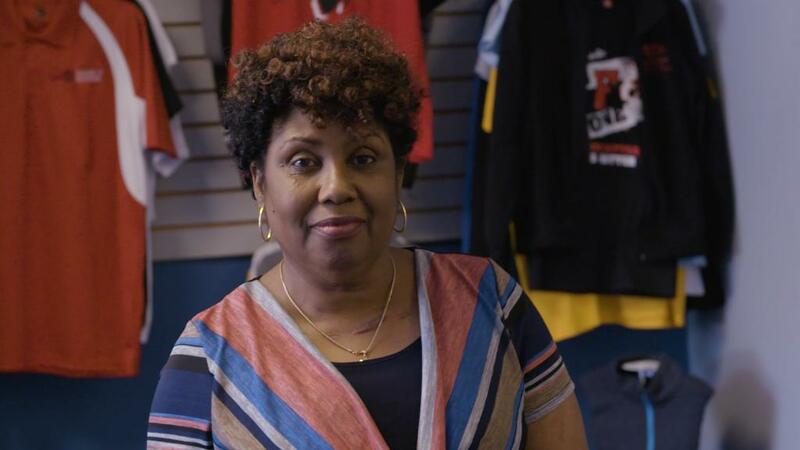 The bank pointed to Vernita Johnson, who started her own printing business out of a bedroom in Chicago's West Side in 1991, as an example of the type of entrepreneur who could benefit from the new fund. In 2014, Johnson purchased a 6,000-square-foot space with the help of a $50,000 loan from Accion Chicago. The move allowed her to start taking on bigger orders and grow her business after she was turned down for loans by traditional banks. "When you're small, and you're still running in the red, and when your taxes say you're losing money, they tell you, 'Well, you come back next year when you're doing a little bit better,'" Johnson told CNN's Christine Romans in an interview. That causes businesses to stay small, she said. Now, Johnson uses the space to teach local teenagers about graphic design and screenprinting. She has eight full-time employees and has surpassed $500,000 in annual revenue. JPMorgan (JPM) can afford to increase giving right now. Corporate tax cuts and a strong economy have left US banks flush with cash. The bank reported a second quarter profit of $8.3 billion last week, up 18% from 2017. The previous quarter, JPMorgan hauled in the largest quarterly profit by a US bank ever.